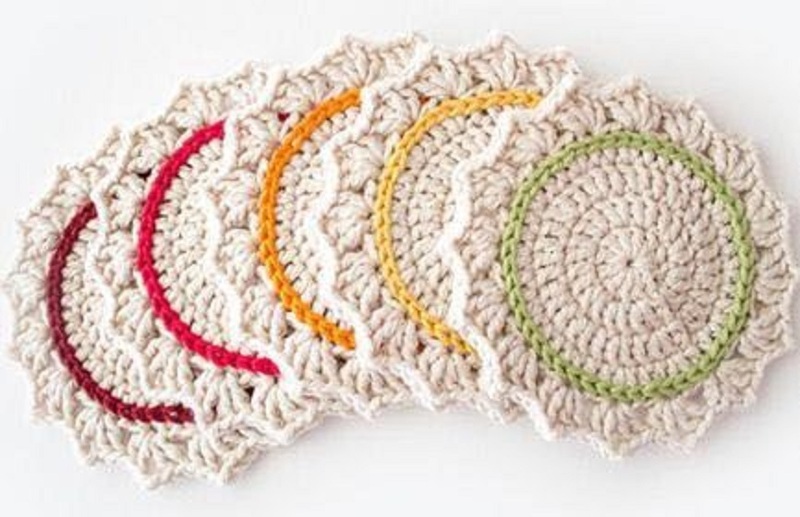 Coasters remain one of the most popular beginner projects for crochet, along with scarves and potholders. What is it about these little circles that keep us coming back for more? For one thing, they’re small and don’t take up as much yarn as potholders and scarves, which means they’re cheaper to make. Less yarn, less money, less time spent on one project, which also means you’ll feel great about completing something so quickly. They’re also practical, like the potholders, but have slightly more potential to be customized, making them fun for both pattern followers and those who like to just jump in and figure things out as they go. With this being the case, it’s easy to see why people keep making these by the stack. They’re affordable, simple, and useful, making great gifts for friends and family or just to keep up with all the beverages being downed at movie nights, dinners, and holiday parties. 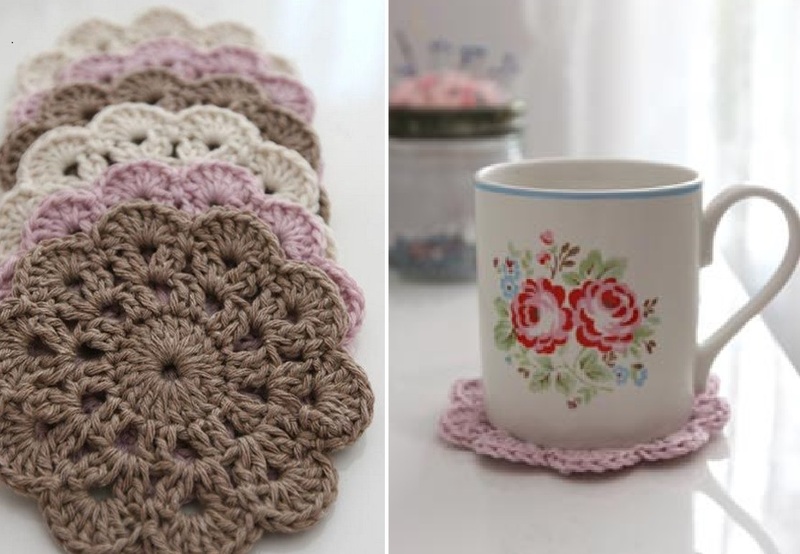 If you’re itching to create your own set of crochet coasters, we’ve got two free crochet patterns you’ll want to take a look at – one is a softer, pretty shape for those who love all things boho and vintage, while the other is a modern, fun spin that looks great paired with bold colors and shapes. The first one is Lulu Loves’ spring-inspired flower petal coasters. They look best in a gradient so if you’ve got some complimentary yarn colors, definitely use more than one. You could also do various shades of neutral for a light, lacy look. Please note that the pattern uses UK terms. 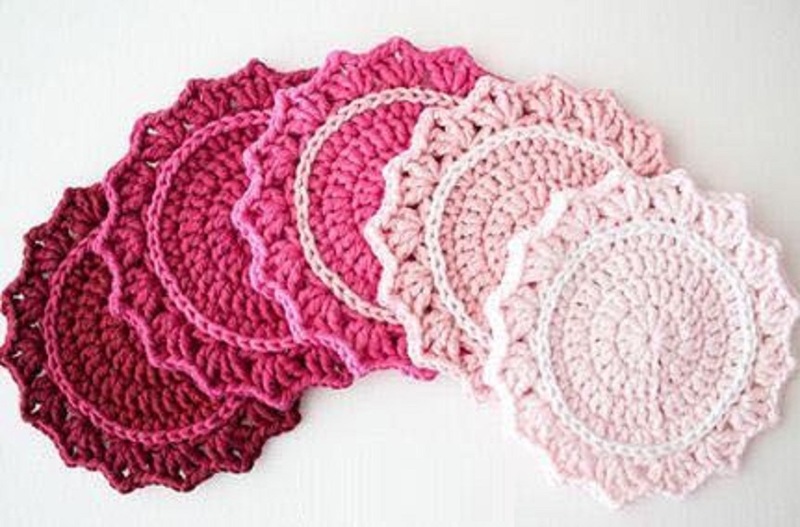 You’ll need DK cotton yarn and a 4mm crochet hook, along with the ability to make the following stitches: Magic Ring, treble crochet (tr), slip stitch (sl st), chain (ch), and double crochet (dc). 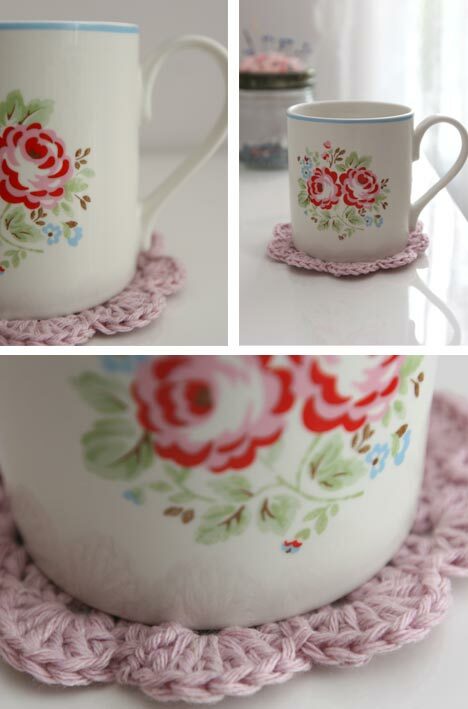 The result is a fancy and fresh springtime coaster for tea parties, picnics, and more. If you’d like to try the free Roller Coasters crochet pattern from HaakMaarraakk, you’ll need cotton yarn (the pattern suggests using Phildar Coton 3, in multi-color, “Elephant” and “Pacifique”), a 4.5mm crochet hook, a tapestry needle, and knowledge of the following stitches: Magic Ring, slip stitch (sl st), chain (ch), and double crochet (dc). This pattern integrates a wide array of colors so personalization is quite simple. If you’re making these for someone who has a favorite Hogwarts House, Hufflepuff for example, you can use yellow and black instead of the colors shown. 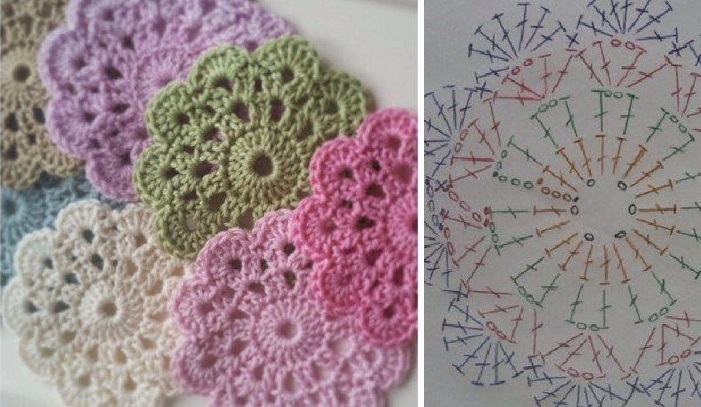 You could also make a set for every season using corresponding colors. 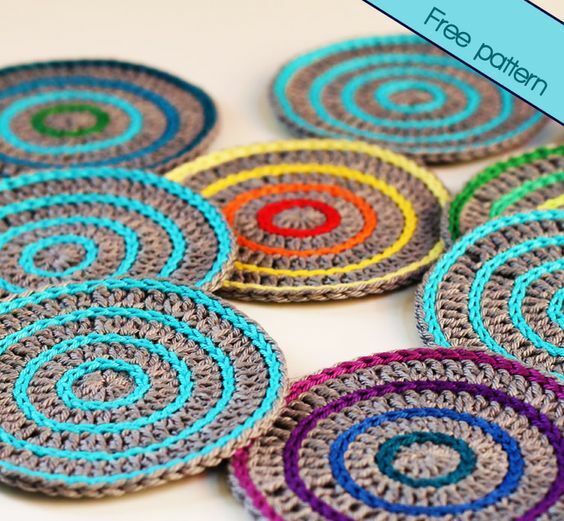 The result is a bright, bold, fun coaster for birthdays, brunches, and more.